1. Each year, millions of dogs and cats become lost. Knowing what to do should a dog or cat escape could mean the difference between life and death for that animal. 2. The only thing worse that losing your dog or cat is losing SOMEONE ELSE’S dog or cat! Pet industry workers (pet sitters, dog walkers, veterinarians, dog trainers, rescue group volunteers, etc.) should all be educated in what are the most effective lost pet recovery methods. 3. Dogs and cats are like apples and oranges: they behave differently when lost, travel different distances when lost, and the people who see or find them react differently when they find these two different species. 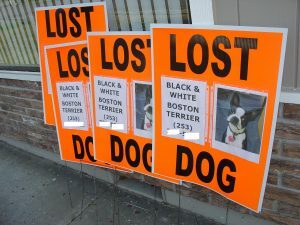 The methods that should be used to search for a missing dog are VERY different than those used to search for a lost cat! Knowing these principles will help you increase your chances of finding a missing pet when it happens. 4. Even the most responsible guardians and caretakers have dogs and cats that escape from their care. Blaming missing / stray pets on “irresponsible” pet owners is actually an act of ignorance! Pets escape due to homes burglarized, roll over traffic accidents, skittish dogs pulling out of their collars, gates being left open by construction crews, etc. 5. Lost pets not found by their families typically end up in animal shelters, rescue groups, foster homes, feral cat colonies, self adopted, or living on the streets. The FIRST location where the pet owner is searching (the local animal shelter) is typically the LAST location where someone will take a found dog or cat (due to the fear of euthanasia). 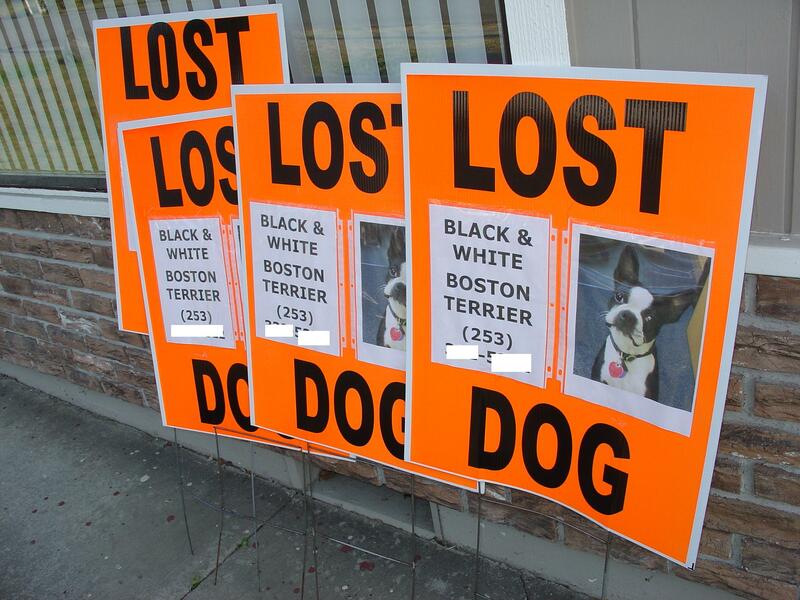 Thus knowing how and where to search for a missing pet is critical! I offer 8-week on-line missing animal response (MAR) or lost pet recovery training courses for animal control officers, animal industry professionals, volunteer dog and/or cat rescuers, and a 10-week pet detective training/certification webinar course designed primarily for individuals interested in offering professional lost pet recovery services as a fee-based service, including the use of K9 pet detectives.. If interested in being trained, visit my “TRAINING” page or email me at info@katalbrecht.com.